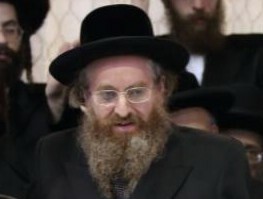 Home Headlines & Breaking News Karlin-Stolin Rebbe Says Throw the Arabs Out of the Mosdos! Following the massacre of mispallalim in Kehillas Bnei Torah in Har Nof on Tuesday morning 25 Marcheshvan, the Karlin-Stolin Rebbe Shlita has instructed his gabbaim to get the Arabs out of the chassidus’ mosdos; including schools, shuls and batei medrash. The rebbe explains that doing so today is tantamount to sakonos nefoshos. The rebbe is aware that there are Arabs employed in many areas of the mosdos but explains that none of this can justify placing the tzibur in a life-threatening situation. Very nice. What about everyone who shop in stores with Arabs? Like Rami Levi? With all due respect, this response is short-sighted and appears to be a reflexive reaction to the trauma. It may cause more trouble in the long run. Disgruntled and angry employees may be incited to take revenge. Sadly, radicalized Islamism is a world-wide problem that will need a strong centralized response from all civilized people. Until then none of us is safe. Please remove the Rebbes photo.The Rebbe is very makpid on his picture being taken and used. Those that did not listen in the past did not do well. I am now sitting on a low chair and getting ready to say Eichu.We are now in the midst of chuban bais hamigdosh. Yes there are many areas that demand tshuva from kllal yisroel,but why were we punished now so harshly.What was the terrible act that caused such CHARON AF.Why were these Tzadikim slaughtered in tallis and teffilin, something that we did not witness since AUSHWITZ. Rabbi has a good idea except it does not go far enough. You seem to write on behalf of Hashem, since you refer to us as children and you seem to know why those tragedies occur. Did you ever think that Jews were murdered even before anyone went to Har habais, or even created State of Israel. People like even after such tragedies like today don’t learn a lesson, don’t tell other to make tshuvah, but rather try to make tshuvah yourself. If Hashem was so against Jews going to Har habais while arabs turn it into soccer field and pray there against Jews, how come we saw this tragedy happening to people who were strongly oppose to going there, and a nes happened to Rabbi Yehuda Glick who was pro Har habais. (I can not say anything but the nes when a person recovers after 4 gunshots point blank). The truth is neither I or you have right answers, so please don’t tell us you know everything. With all Due RESPECT Mrs. number 2 Raisy. Its not radical islam, but islam as a whole. BTW should we put student (unarmed) in harms way by employing murderers who want to kill you in the schools???? yes most want to murder every Jew (man, woman, and CHILD), some just don’t have the guts but (UN)holy scripture tell them they can and should murder Jews. So please don’t give me the PC Garbage that its radical islam and we should worry about Disgruntled employees!!!!!!!! Karlin-stolin rebbe (also) says and is well known that he is extremely makpid on pictures of him being posted, for respect please remove the photo. Who will do the work that needs to be done? Your comment, “It may cause more trouble in the long run. Disgruntled and angry employees may be incited to take revenge.“, is completely in line with Obama’s policy. I guess you can be proud to come to the same conclusion, never to cause discomfort to your enemy. Charlie, we will figure it out. The Rebbe is making a bold move that Rami Levy and Israeli society needs to finally do to. Cheap labor has its price. The Rebbe is not the 1st one to have given this sagely advice. This was the sagely advice of the saintly Rav Meir Kahane HY’D. They are both 100% on the ball, and every Arab needs to be expelled from Israel at once:- Period!! The REBBE is right. We need to stop hiring them and keep them away from our neighborhoods. There are plenty of Jews who need jobs, but Arabs work cheaper. I hope the Makolet owner across from the Shul, who hired this animal feels the guilt he deserves. #13. There are also plenty of very nice and friendly foreign workers in Israel. Many more would like to come here too. We don’t need the Arabs, it’s not worth the price. He is one of the genuine gedolei yisroel not someone who wanders around in a white scarf and a silver tipped cane trying to look the part. He does, and does not even want people to see him. I agree with Raisy (comment 2). Well, sort of. I think the Rebbe’s intention might be that the mosdos should not be responsible for bringing Arabs into the neighborhoods where they are located. After all, the Arab worker who perpetrated the shul attack with his cousin didn’t even work in the shul, but in a nearby store. You obviously don’t know about the countries where Islam is not radical, and Muslims attempt to kill no more members of other religions (for religious reasons) than Ch—tians in the United States do. While political correctness is often stupid, so is painting all Muslims with the same brush. It’s hard to argue against an argument that doesn’t actually make any point. But what makes every Arab worker “your enemy,” anyway? They haven’t done anything, unlike whatever entities I assume the policies you’re referring to deal with. Hashem gives us tragedies, we are being punished for going on Har Habayis even though we’re not allowed to. Tell me, who goes on Har Habayis, and is that really worse in Hashem’s eyes than the other things they do? As for “קשה מיתת צדיקים כחורבן בית המקדש,” the only way that would be relevant is if we had destroyed the Beis Hamikdosh. It is very possible to do it. Anyone criticizing the rebbe is wrong. I live in the belz area. the stores are literally devoid of arabs. besides for the building projects being built which is not dependent on the community; outside builders. the direct grocery,fruit store, yeshivos and batei midrashim do NOT employ arabs. My grocer man said; it costs him a lot more and he gains a lot less from his workers but it’s an ikaron and he’s happy to have done it for years now. I don’t know what an “ikaron” is. It’s very sad to see a bunch of people calling themselves Jews and advocating for persecution against a large group of other people based on their race. You’re no better than Hamas.